Let's chat about dropping the morning nap (AKA getting down to one nap). This can happen at a variety of ages. For Duke, I began seeing signs of the transition at 12 months. 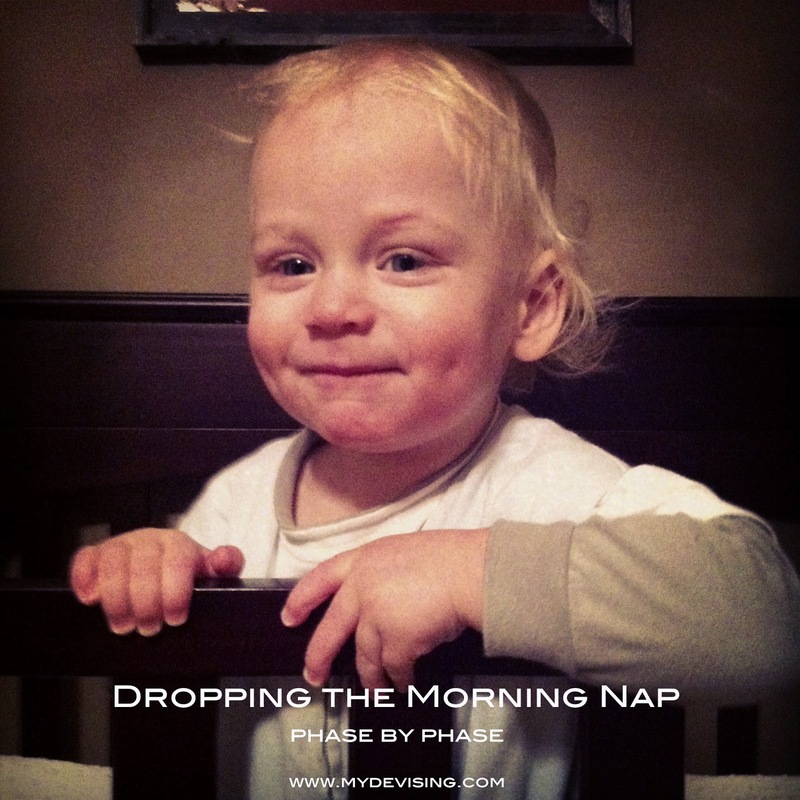 Dropping the morning nap will most likely be a gradual process for your baby. Here's my breakdown of the whole thing with the assistance of some song lyrics. First, let's talk about knowing when to drop the morning nap. At some point your lovely morning and afternoon naps will start to change. Something will change. For most of us, the red flag is that the afternoon nap gets worse. Either baby has a really hard time getting to sleep, baby wakes up several times in the nap, or baby wakes really early at the end of the nap. A common misconception is that you'll know to drop the morning nap when the morning nap starts going poorly. All babies are different, of course, but typically, babies are still loving their morning naps. Although it is possible, a bad morning nap usually won't be the red flag for dropping it. A bad afternoon nap will be. 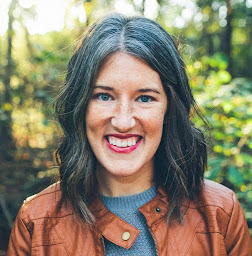 In general, I'd say if your baby is around the 12 month range and you're seeing lopsided naps (crazy long morning nap, short and sometimes frustrating afternoon nap), you are in transition and will need to change things up. Once you notice that your typical 1.5-2 hour afternoon nap is suddenly not going well, you need to shorten your morning nap. I know, I know - the glorious morning nap. But babies need naps in the afternoon. They need a good, solid break to rest. So, start chiseling away at the morning nap. At 12 months, I noticed both naps got a bit shorter. Instead of 1.5-2.5 hours each, they were staying pretty consistent at 1.5 hours each. I needed to purposefully shorten the morning nap. At 14 months, Duke's morning nap was 1-1.5 hours. At around 14 1/2 months, the morning nap was around 1-1.25 hours. For us, it worked best to start putting Duke down later in the morning. So, if you typically had a 10:15 a.m. nap time, then try 10:30 a.m. Eventually, try 10:45 a.m. Then 11:00 a.m.
After a couple weeks of the 45 minute morning nap, he just wasn't having it. He wouldn't go to sleep. Sometimes he'd cry, but a lot of the time, he'd just talk. Very loudly. If he did fall asleep, it would be a very off-and-on nap. Sometimes, he'd sleep 20 minutes and be ready to play. This phase is just dumb. But you can either choose to let it drive you crazy or you can just go with it. In this phase, you wake up each day not knowing what will happen that morning. (MY ULTIMATE FEAR IN LIFE! Just kidding. But half-serious. I love plans.) Will he take a morning nap or will he refuse it? You just have no idea. I want to encourage you: this time of annoying confusion will end! At some point, you will not be riding the fence and your child will officially be done with this nap. Just do your best to be flexible with it. Finally, our time had come. After several days of trying the morning nap, realizing he really wasn't going to sleep, and getting him back up to play, I decided to completely drop it. Duke was 15 1/2 months when we officially dropped the morning nap. I happened to be going over to Megan's house the morning of the first purposeful no-morning-nap day. He was great! He played with Cooper and Camryn and showed no signs of needing a nap. Obviously, once the morning nap is dropped, the afternoon nap needs to be extended. Instead of Duke sleeping from 2:00 p.m.-4:00 p.m. in the afternoons, I started putting him down at 1:00 p.m. He sleeps anywhere from 3-3.5 hours each day in the afternoon. I was pretty surprised that Duke dropped it completely when he did. For being such a fan of sleep, I thought he'd hang onto it a bit longer. But he was definitely ready. There is an adjustment period when you drop the morning nap. Some mornings Duke will have a little fussy spell, but they are not often. The solution is to change the scenery. We go outside, get a drink of water, read a book, go to the store, run errands, play with a different toy, etc. It's like hitting the restart button. I hope breaking it down into phases will help some of you. When did your babies drop the morning nap? Any tips or comments you'd like to add?